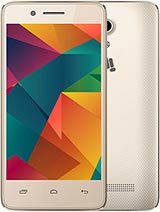 I bought a Micromax Canwas 2 phone 5 month ago with warranty of one year. Since starting, phone had many problems as such..Hanging, Camera problem, Heating battery. I also shown my mobile to Micromax service centre, but after some days, same problem. Finally mobile got permanently switched off two months back. Again i shown to customer care, they said phone switched of due to vapor. Now they say they have to change some thing which will cost 9000. This is completely nonsense when you buy a phone with 11000, and within 6 month you again pay this amount Total Cheating. I am expecting a quick response, otherwise i am going to put same comment to social sites and other forum. Micrimax seems to have earned its reputation as a 'cheap brand'. Bought an Android One phone recently - the phone packed up within two months. Gave it for repair - estimated time for repair - 15 DAYS. Unheard of but true. The phone did arrive fully repaired on the 15th day exactly as promised; with one minor issue though - they sent the wrong phone! An A 106 in place of the original. And their process for fixing their mistake? 'YOU bring the phone back to the service centre and the 'correct' phone will reach you in another 15 days'!! When the world is moving to unprecedented levels of customer service, how are these companies managing by taking their customers for a ride? 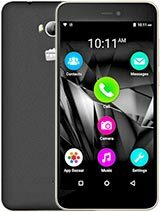 I have very bad experience with micromax. They had extremely bad customer service in all aspects as you all know and i have not need to explain what a disgusting service they had. My only advice to you that never buy a micromax smartphone its a worstphone ever. Think twice before and be smart. 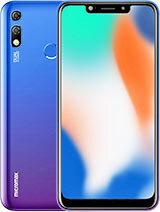 Now its all on you people if you are good in smashing axe on your own feet then go for it othewise there are many other smartphone brands in India. 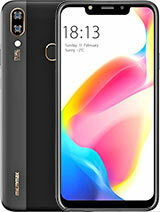 Dears kindly put comments regarding Micromax canvas Nitro A310 mobile. The problem was in my mobile that always charges only on offline mode, I have given my mobile Canvas A117 Septmber 23,2014 to service center shahadra Durgapuri chowk and they told me your mobile need to send Micromax company and mobile will be return within 1 month, but now around 2 months has completed but ihave not yet received my mobile and when i ask service center they always says when it will be return from the Micromax company they will contact me.This is my very bad experience with Micromax. Never never buy a Micromax. The phone started hanging within a few days of purchase. There is no replacement policy. Gave my phone to Service Center. No service after 45 days. No hope. Will trash phone. Rs. 9,000 gone. I Bought canvas A177.. its display went bad in 3 months.. Now Its at the service center since 4 months.. No sign of me getting it any time sooner.,.. Wonderful service .. the best ofcourse!!! Francis, 23 Oct 2014am really frustrated with the response by the customer service and the micromax phone. I think... moreAgree with you totally... Bought the same phone.. s display went bad in 3 months.. Now Its at the service center since 4 months.. No sign of me getting it any time sooner.,.. I am really frustrated with the response by the customer service and the micromax phone. 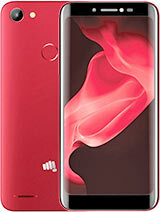 I think it was my worst decision to buy a micromax A111 phone that too of Rs. 10500. Buying a micromax phone is not worthwhile. I have a canvas 4 and the touch screen as well as the lock key is gone bad. Gave for service on sep 22nd 2014 and till date(18/10/14) they say part has not arrived. Same thing will be replaced at S.P road in couple of hours. Micromax service is the worst. What will you do with a year warranty if once given for a service and they dont return it for a month. I would suggest that dont ever go for a micromax phine. 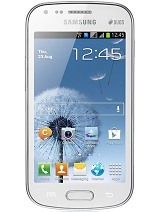 Micromax A100, Worst phone in this world. Sorry but I have no other words to say about this set.